UTORO, HOKKAIDO PREF. - Winter in Japan, and Hokkaido is covered in snow and ice. It’s a freezing February morning, and blizzards and bitterly cold winds sweep the area as I begin my journey from Memanbetsu Airport to the rich wilderness of Utoro on the Shiretoko Peninsula. Pieces of drift ice lie caught in the frozen sea as I travel through a wintry scene of small towns and valleys. It may feel desolate and remote, but in spring, this part of Japan transforms from a snowy landscape into a haven of rich greenery. 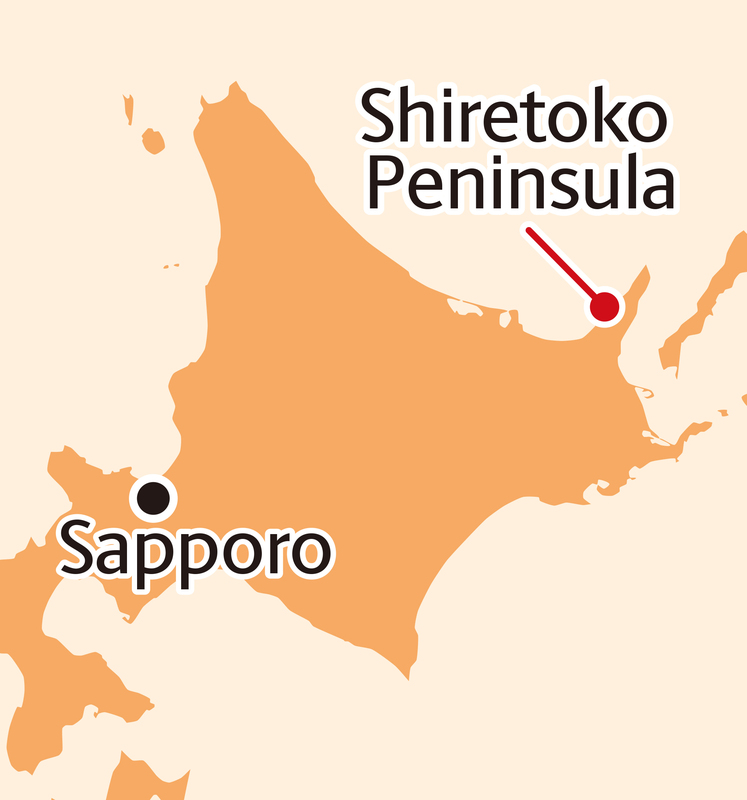 The Shiretoko Peninsula is a treasure trove of forests, wild animals and birds. Its northeast half became a national park in 1964 and then a World Heritage site in 2005. Home to sika deer, eagles, brown bears and hiking trails to see them from, it has plenty for outdoor enthusiasts. The tallest mountain, at 1,661 meters, is Mount Rausu, which offers spectacular views, while those wanting an easier, more relaxed experience can visit Shiretoko Goko (the Shiretoko Five Lakes), a scenic spot in the midst of primeval forests. 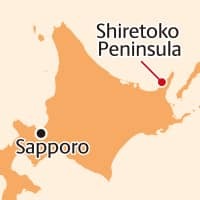 Shiretoko Peninsula has two access points — Utoro in the northwest and Rausu in the southeast, both of which are renowned for fresh seafood, including crab and scallops. As my journey continues, hiking trails and green forests seem like a distant world. But these are not the only things that make the Shiretoko Peninsula so famous. It’s also a good example of a marine and terrestrial ecosystem influenced by drifting sea ice. 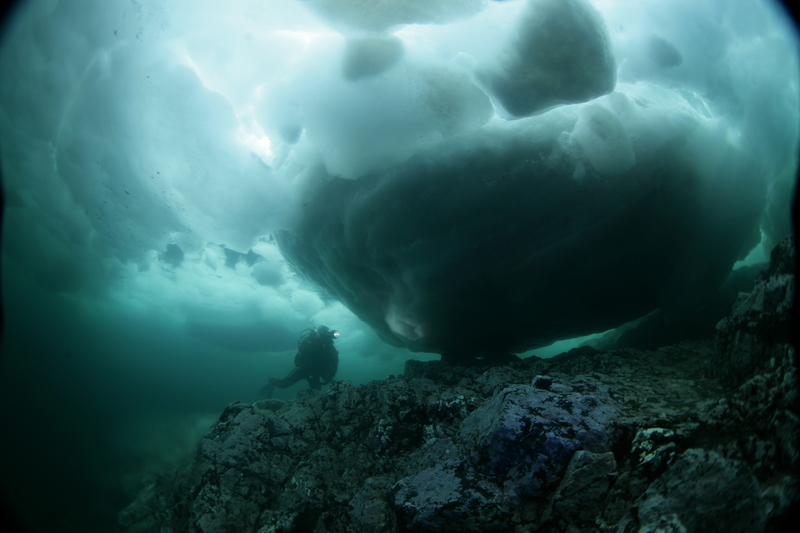 This drift ice is what I’ve come to explore. Known as ryūhyō in Japanese, drift ice is produced as water flows from the Amur River between China and Russia into the Sea of Okhotsk. As this fresh water freezes, it drifts towards Hokkaido while increasing in size and filling the Sea of Okhotsk. In January it breaks up, detaches from the coast and is blown south by a northerly wind, its journey ending at the Shiretoko Peninsula. 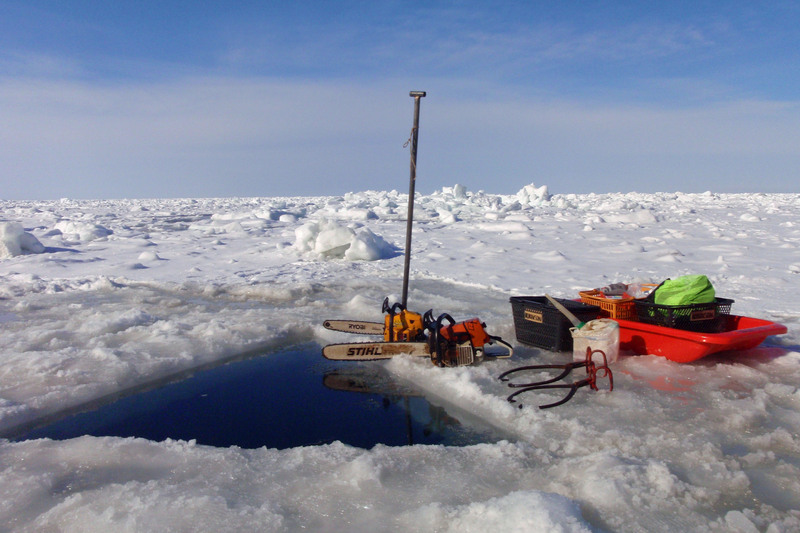 Because fishing becomes impossible during the winter season, drift ice was long considered a nuisance by fishermen, but it is now realized that it plays a fundamental role in the ecosystem, fostering the growth of ice algae. This attracts species such as small fish and shrimp, which, in turn, attract larger fish like salmon and trout. These then support the terrestrial ecosystem as food for animals such as bears. When the drift ice is particularly thick, tourists can put on a dry suit and wander over it or watch the ice from a special sightseeing boat. But I’ve come to Utoro for something else — the formation of drift ice also marks the start of the ice diving season, which runs from early February to early March. 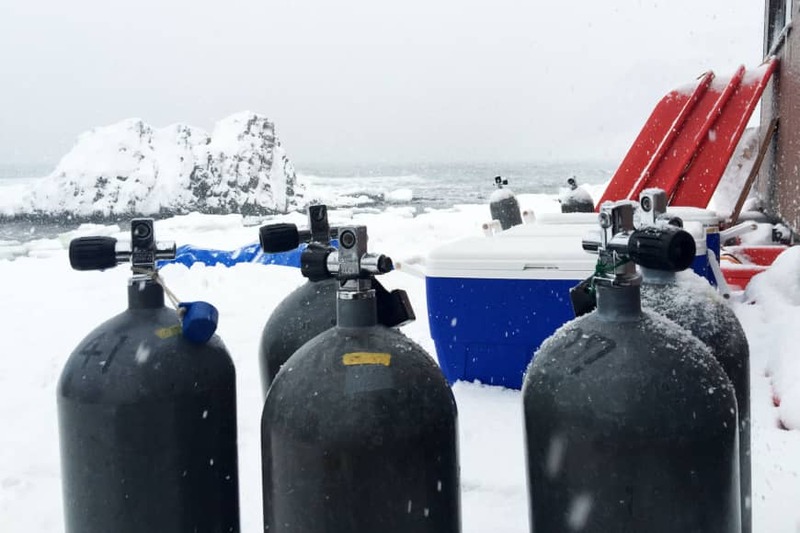 Ice diving is not as difficult as it sounds, but it’s an advanced form of diving with several points to bear in mind, including the risk of hypothermia and diving in an enclosed environment with only one entry and exit point. To aid with my dive, I am guided by Hiroshi Nishimura of Robinson Diving Service (robinson.co.jp). 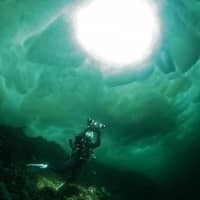 Donning my dry suit, I’m all set for the challenge as I slip into the water, bracing for that sharp bite of icy cold. As I descend along a safety rope, it becomes clear that this is no ordinary dive. With the water temperature just below freezing, yes, it’s bitterly cold, but there is enough to distract from that. Looking up, the blocks of ice glow silvery white. The color of the water changes from turquoise at the surface to a green, greyish black at around 5 meters. It’s an incredible sight, and there is something magical about the ice that shines from within. I swim on my back and gaze at the crystalline scene unfolding above me. 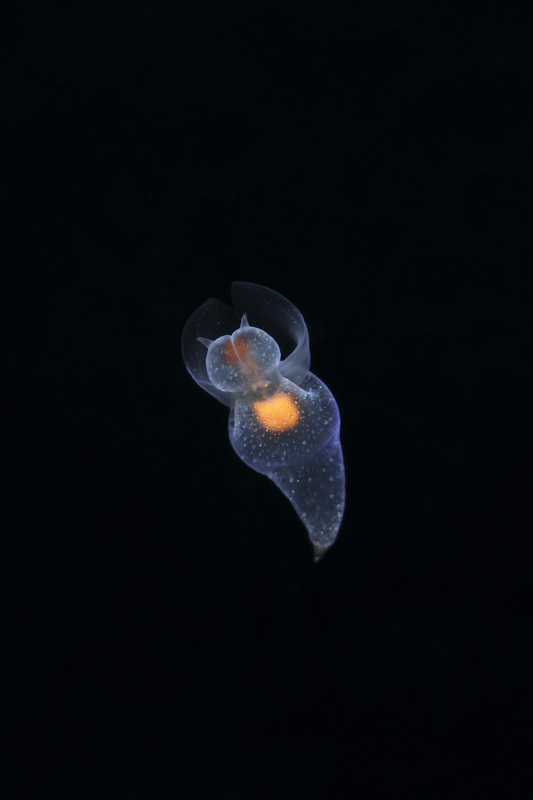 The marine life differs greatly from warm coral seas. Seaweed sways gently over rocky boulders while small creatures such as nudibranchs, starfish and shellfish sit quietly nearby. Cocooned under a roof of ice, life is slow and the water is extremely transparent. The star of the show is the tiny, translucent Clione, a type of sea slug that’s also called a sea angel. Flapping its wings and waving its cute ears, it hovers like a mystical being but it’s no more than a dot in the vast ocean. The challenge is keeping your eyes peeled long enough to spot one. In the end, we spend 15 to 20 minutes at no more than 5 meters below the surface of the water. It’s a short time with not much to see, but it’s this minimalism that makes ice diving so memorable. With few fish and no coral, all you can do is take in and appreciate the light and color. It feels silent and meditative. And that’s what’s so curious about ice diving. Despite taking the risk to submerge yourself beneath sheets of ice, the most enjoyable scenery is at the surface, where blocks of ice dance above, visibility is crystal clear and the silence is uncanny. With a toasty hot spring and a beer waiting in the wings, all that is worth getting cold for. Direct flights (JAL and ANA) are available from Tokyo, Osaka, Nagoya and Sapporo to Memanbetsu, the closest airport to Shiretoko. Between mid-June and mid-October and during the drift ice season (late January to mid-March), there are buses from Memanbetsu Airport to Utoro along the west coast. The closest station to Shiretoko is Shiretoko Shari in Shari. Infrequent buses run from the station to Utoro between late April and October. 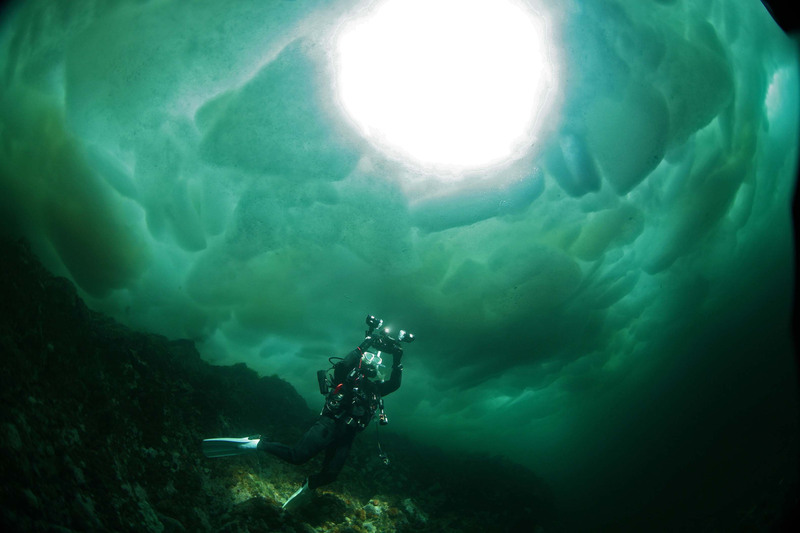 Ice diving is an advanced form of diving and should not be attempted by inexperienced divers. Guiding is offered by several companies in Shiretoko, including Robinson Diving Service. Divers should have some dry suit experience and an Advanced Open Water PADI or equivalent qualification. It is recommended that divers build up a relationship with a dive shop before attempting ice diving. Japanese language ability is a must to ensure safety on dives.